w3 Form 2018 is not the form you're looking for?Search for another form here. Who needs a W-3 form? Form W-3, also known as Transmittal of Wage and Tax Statements, is designed for taxpayers in the United States. They use it to report financial activity to the Social Security Administration. What is the W-3 form for? 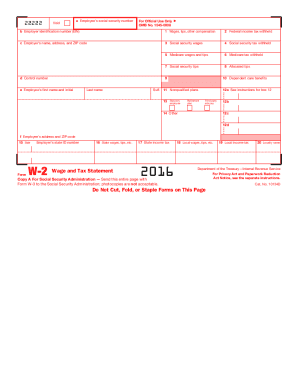 This form is to be submitted strictly in case paper copy A of the W-2 form is being filed. Do not send this form to the SSA or any checks, money orders or cash, if you have filed electronically. 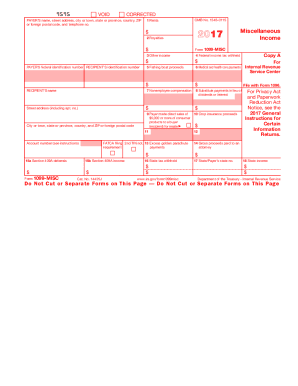 Also, you shouldn’t file this form alone (without the W-2 form). Is the W-3 form accompanied by other forms? You should file it only together with the Copy A of form W-2. When is form W-3 due? The due date of this form is February, 28, 2017. The taxpayer should keep the copy of this form for four years. 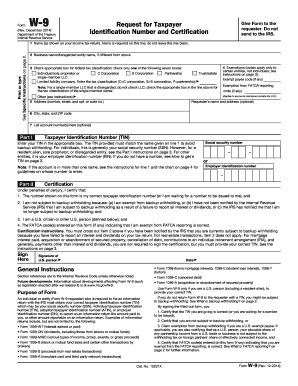 How do I fill out a form W-3? Where do I send the IRS W-3 form? The taxpayer sends the completed form to the Social Security Administration, Data Operations Center, Wilkes-Barre, PA 18769-0001, or files it online.